You will often hear about certain players being labeled “locks” for the Hall of Fame. If their career ended today, their current resume would be enough to get them into the Hall without any more games on their resume. These are the players I am examining. There are plenty of players like Jonathan Toews, Patrick Kane, or Steven Stamkos that will almost assuredly make the Hall of Fame, but there’s still some work to do. If their current trajectory continues, they’ll absolutely make it. But as of right now, their resume isn’t enough. Though Chara has won only one Norris Trophy, he has consistently been a top contender for the trophy over the past eleven seasons. In those eleven seasons, he’s finished in the top ten on ten different occasions, and was a finalist (top three) six times. Every defenseman who has done that who is eligible has made the Hall of Fame. He was the anchor of the Stanley Cup winning Bruins in 2010-11, and was the most important player on what was one of the best defensive teams in recent memory. The biggest player in NHL history, Chara dominated in his own zone with his physicality and reach. On the offensive end, his booming slapshot and occasional forays as a net presence on the power play made him a force to be reckoned with. Despite the fact that Datsyuk never finished in the top three in the league in points, he’s HHOF bound. Numbers truly don’t tell the entire story for Datsyuk. 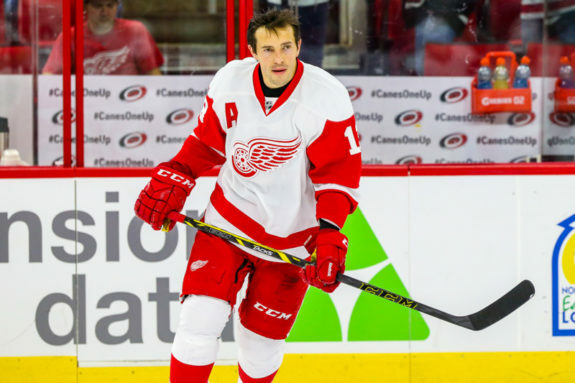 When other NHL players are asked who is the smartest or most skilled player in the league, Datsyuk is often the answer. His game is so smart and subtle that it takes a refined hockey mind to truly appreciate his greatness. Datsyuk won three consecutive Selke Trophies from 2007-2010, something that has only ever been done once before (four straight by HHOFer Bob Gainey). Datsyuk has one less Selke Trophy than Gainey, but is a much more accomplished offensive player with eight 65 point seasons, peaking at two consecutive 97 point seasons. Gainey’s career high was 47 points, achieved in a higher scoring era than Datsyuk’s. The ageless wonder’s case doesn’t need much description. Jagr led the league in points on five different occasions, and finished in the top ten in goals eight times, top ten in assists ten times, and top ten in points eleven times. With 49 more points in his career, he would move into 3rd place all time ahead of Gordie Howe. With 86 more points, he would pass Mark Messier to become 2nd all time. My guess is Jagr will finally retire once he passes Messier, likely after two more NHL seasons. Some may think it’s a bit premature to call Keith a lock, but most don’t appreciate how consistently great he’s been over the past eight seasons. Yes, he won two Norris Trophies but he was exceptionally strong every other season. He just didn’t put up huge numbers in those years. 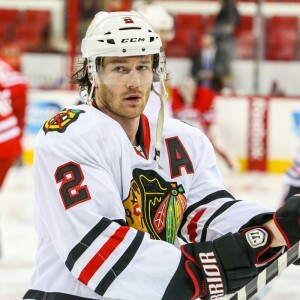 Averaging 31:07 in the 2015 playoffs, Keith led the Blackhawks to their third Stanley Cup in six seasons. His effortless skating, poise with the puck, and exemplary two-way play were remarkable. 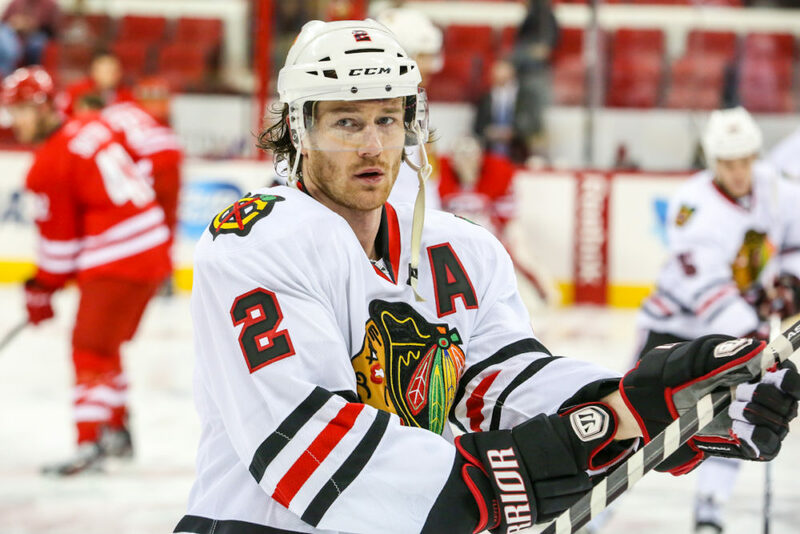 Only five defensemen in NHL history have won multiple Norris Trophies and a Conn Smythe Trophy: Bobby Orr, Larry Robinson, Brian Leetch, Nicklas Lidstrom, and Duncan Keith. The first four are all Hall of Famers. In the 2000s, you would be hard pressed to find a more consistent goalscorer than Jarome Iginla. A three-time 1st-team All Star, Iginla eclipsed the 30 goal mark every season in that decade and only missed 25 games in that time span. Iginla finished in the top three in goals on four different occasions, and has four top ten finishes in points. Iginla brought more to the table than just goals, however. He was a physical player willing to mix it up in the corners, and was a tremendous leader in Calgary for a long time. He’s one player who absolutely deserves to win a Stanley Cup before he retires. Skating for five different teams in his career, Hossa has been the epitome of consistent. Since 2000, he’s reached the 60 point mark on eleven different occasions, and in the three seasons he didn’t, he was on pace to beat it had he played a full season. Hossa never had a remarkably high peak (he does have four top six finishes in goals), but was very consistent throughout his career. 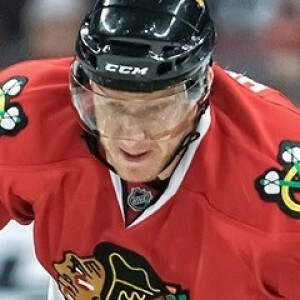 A respected two-way player, Hossa has become a strong veteran presence on the Blackhawks’ modern dynasty of the 2010s. Hossa is also remarkably strong on the puck, using his body and power along the boards to control possession in the offensive zone. He could be an adventure in his own end on occasions, but there is no denying Sergei Gonchar’s abilities in the offensive end. Phil Housley’s election to the HHOF in 2015 was a great sign for Gonchar’s chances, showing that offensive specialists have a chance at enshrinement. Gonchar finished in the top 10 in Norris Trophy voting on seven different occasions, but a number of those selections were likely due to the video game-like point totals he put up. In an era of low scoring, Gonchar bucked the trend by scoring over 50 points from the back-end nine times. Five times he either led defensemen in scoring or was the runner-up. 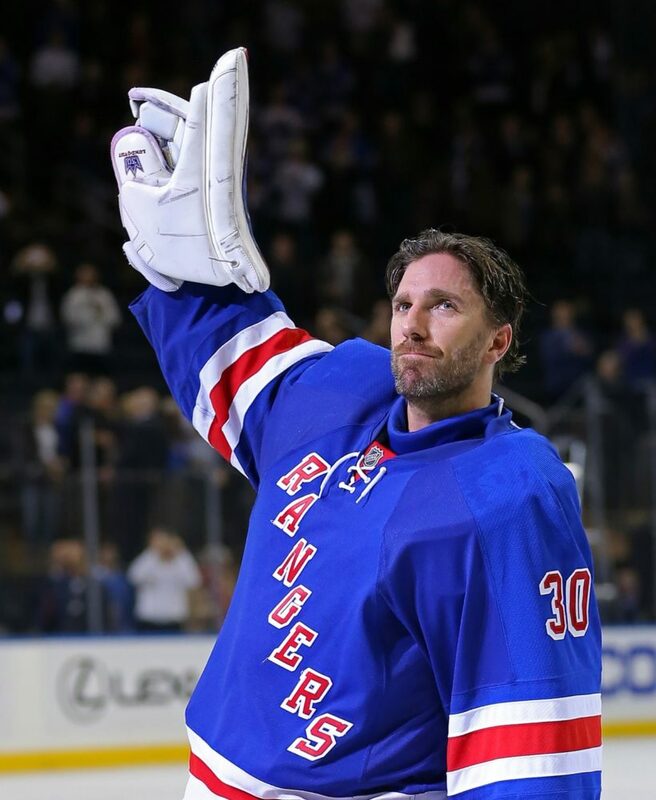 Somehow, Lundqvist only has one Vezina Trophy to his credit. But like Zdeno Chara, he has consistently been a strong contender since his rookie season in 2005-06. 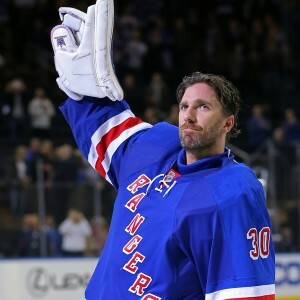 In fact, he has finished in the Top 10 in Vezina voting every season in his career, seven times in the top five. His teams have generally struggled in the playoffs, but it’s no fault of his. Compared to the regular season, Hank’s GAA goes down and save percentage goes up in the playoffs. He just gets terribly little goal support from the team in front of him in the postseason. Some may question whether Elias’ point totals are worthy of the Hall, but they must keep in mind that he’s played his entire career in a structured defensive system that didn’t encourage offensive play. On another team, Elias would surely have put up more gaudy point totals. Elias’ biggest claim to fame is that he was the leading scorer on two Stanley Cup winning teams in 2000 and 2003. Since expansion in 1967, the only other players who can make that claim are Patrick Kane, Anze Kopitar, Brendan Shanahan, Joe Sakic, Wayne Gretzky, Mike Bossy, Guy Lafleur, Bobby Clarke, and Jean Beliveau. Kane and Kopitar obviously aren’t HHOF eligible, but are likely on their way to HHOF induction. All of the others have been inducted. It’s not as if Elias has no meat to his resume, as he has three top ten finishes in points and is known as a strong defensive player. Since the invention of the Art Ross Trophy in 1947, every player who has won more than once has made the Hall of Fame or is destined for the Hall. St. Louis has won the trophy twice. In addition to his scoring prowess that allowed him to finish in the top ten in points five times, St. Louis is a tireless worker that showed a commitment to play in his own end. St. Louis overcame massive odds to even make the NHL standing at a generously listed 5’8″. The success he’s had is a testament to his determination. In addition, St. Louis won the Hart Trophy in 2004 and has won the Lady Byng Trophy on three separate occasions. Two Art Ross Trophies. Two Hart Trophies. Seven top ten point finishes. Three 1st-Team All Star and two 2nd-Team All Star selections. Crosby achieved all of that despite playing in only 80% of the regular season games due to injury. I saw a discussion recently that questioned whether Crosby had lived up to the hype that he had when he was drafted. He has, without question. He’s already carved out a HHOF career, and it’s impressive to think what his resume could look like if it weren’t for his bout with concussions. 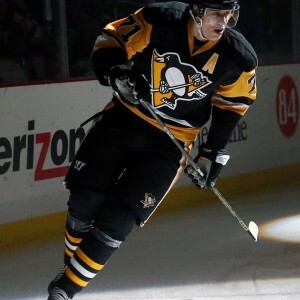 When he’s healthy, Malkin is arguably the toughest player in the NHL to defend. His combination of size, speed, and power is truly remarkable. He’s like a freight train out on the ice. Unfortunately, he’s dealt with injury problems throughout his career that limited him to 83% of his possible regular season games. 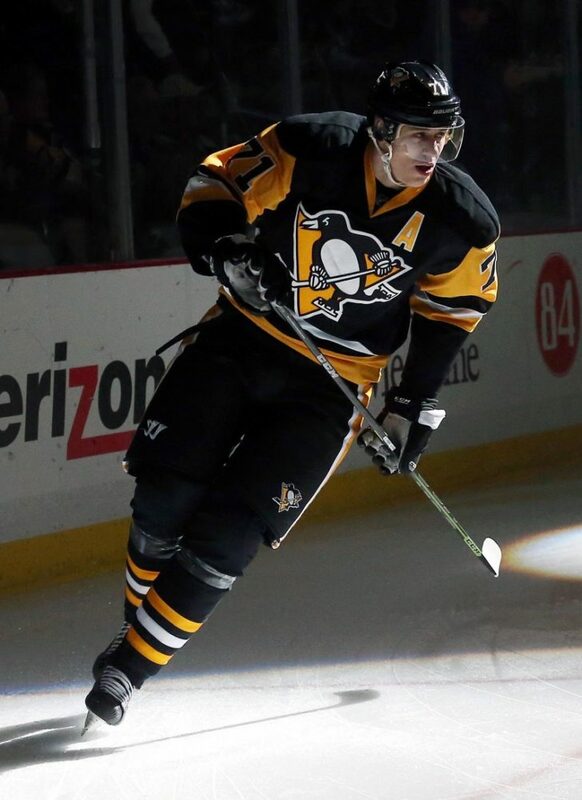 In the games Malkin does play, he’s a force. He’s won two Art Ross Trophies (remember everyone who’s done that is either in the Hall or guaranteed to be in), won a Stanley Cup, a Conn Smythe, and was named a 1st-Team All Star three times. His detractors love to point out his shortcomings in the playoffs (I won’t defend him there, he’s been bad in the postseason) but don’t acknowledge how strong of a point producer he is in the regular season. Since 2002, Thornton has registered at least 70 points in ten of twelve seasons. The two seasons he didn’t make it were the lockout shortened 2012-13 season when he had a .83PPG, and last season when he still put up 65 points. Thornton has been in the top ten in assists a remarkable eleven times, leading three times and finishing as the runner up on three more occasions. Jumbo Joe’s vision and playmaking ability is uncanny. If got it done in the playoffs, he would be universally regarded as a first ballot lock. As they have for their entire lives, the Sedins come as a package deal. Their careers have been so similar that you cannot say one has definitively been better than the other. Henrik has 915 points in 1,092 games and Daniel has 881 in 1,061 but has 116 more goals. They won the Art Ross Trophy in back-to-back seasons in 2009-10 and 2010-11, and both have been remarkably healthy for their entire career. 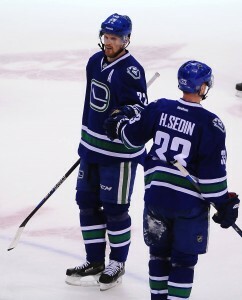 Henrik’s resume includes eight top ten finishes in assists and a Hart Trophy win in 2010. Daniel was named a 1st-Team and 2nd-Team All Star once each. 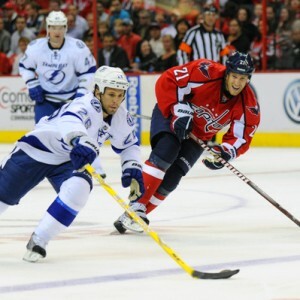 Ovechkin might not be the human wrecking ball that he was earlier in his career, but he is still a human highlight reel. 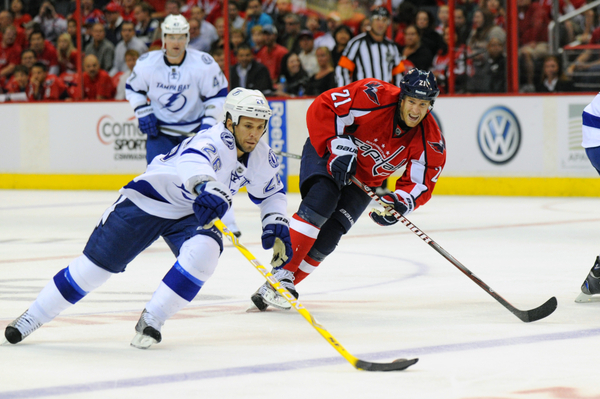 Few players in the history of the game have been blessed with the type of shot and explosive offensive ability that Ovechkin possesses. From any angle, anywhere in the offensive zone, he is a threat to score. And he knows it too. In his ten NHL seasons, he’s led the league in shots nine times. He led the league in goals five times, won three Hart Trophies, finished in the top ten in points eight times, and has seven 1st-Team All Star selections (with more likely on the way). His hardware cabinet can’t be matched by anyone on this last.